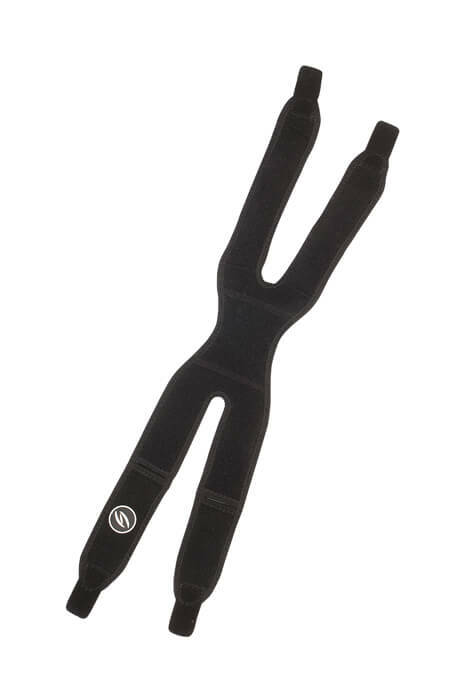 Adjustable double knee strap supports above and below the kneecap for extra stability and a perfect fit. 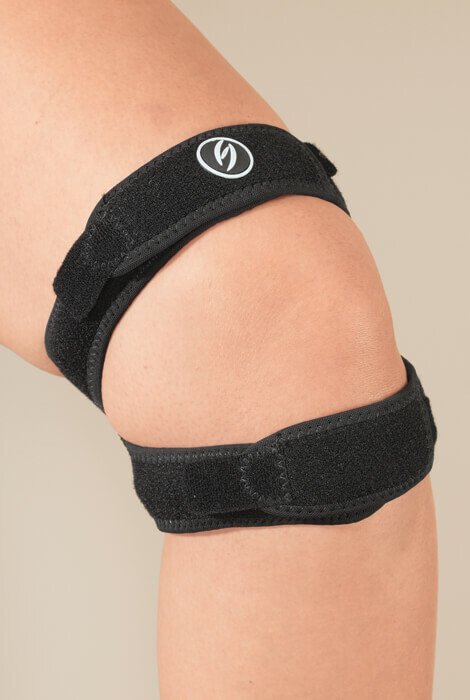 With 2 easy-to-position hook-and-loop straps, this knee support provides custom compression to help stabilize and strengthen a sore knee, yet stretches to provide lightweight comfort and full mobility. One size fits most. Knee band measures 21 1/2" L x 4 1/2" W x 3/4" H. 65% rubber/35% nylon. Machine wash cold, inside out; tumble dry low. Supports above and below the kneecap. Help stabilize and strengthen a sore knee. Stretches to provide lightweight comfort and full mobility. 21 1/2"L x 4 1/2"W x 3/4"H.
Machine wash cold, inside out; tumble dry low. Very poor brace as the velro doesn't hold the straps and it constantly falls off.